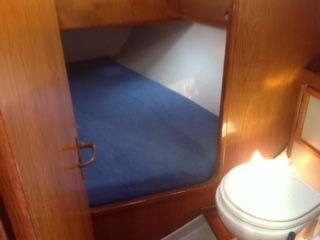 Jeanneau Sun Legend 41 For Sale is lying in Kilada, Greece. At 12.44 metres (approx. 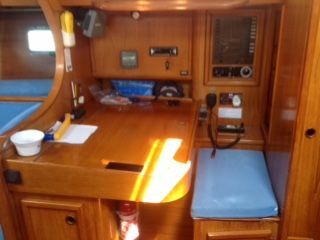 40.81 feet) this Jeanneau is a bargain at £36,000. Jeanneau Sun Legend 41' lying Greece. British owned with recent upgrades and improvements. 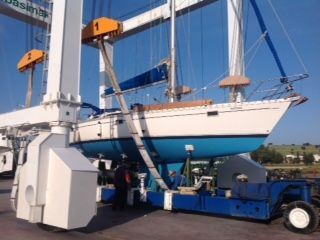 She comes fully equipped with new rigging, autopilot, o/b, dinghy, water bags and engine/electric fridge, teak seating, a proper sailing yacht. Boatmatch Tip: Need advice about possibly insuring this Jeanneau Sun Legend 41? Checkout our Boatmatch Insurance Guide! 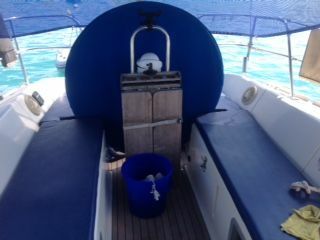 Dinghy +2.5hp Outboard . 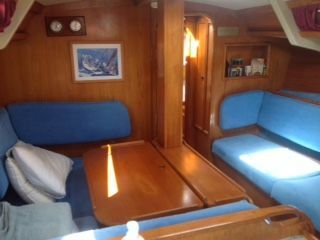 Contact the seller of this Jeanneau Sun Legend 41 for more details. The boat is a 1986 model and she was purchased in Turkey 2 years ago with the intention of taking her home to Kenya, unfortunately, due to security issues around Somalia I was unable to do so, and sailed her to Greece instead. She is under the UK flag, and no tax issues. I don't know how much you know about the early models but while well built some of the design features are not that good, which I have changed, the main one being the ignition and instrument cluster, this was originally behind the Helmsmans legs under the hatch, I have moved the instrument cluster to under the companion way entrance and the ignition to by the helmsman. The shower pump was manual it is now electric, all interior lights plus navigation lights now led, water tanks (one SS tank I am now changing) now bags.